David Gardiner and Associates and the Institute for Industrial Productivity released an updated version of Combined Heat and Power (CHP) as a Compliance Option under the Clean Power Plan: A Template and Policy Options for State Regulators. This updated report reflects changes to the final Clean Power Plan, which was released in August 2015. Combined Heat and Power (CHP) provides a tremendous opportunity for states to save electricity, increase manufacturing competitiveness, and reduce emissions. The April 2016 report, Combined Heat and Power (CHP) as a Compliance Option under the Clean Power Plan: A Template and Policy Options for State Regulators, is a key tool to guide states as they craft their compliance plans under the Clean Power Plan. The report provides a detailed consideration of EPA’s final requirements for approvable state plans. It also includes a menu of policy options – a comprehensive survey of policies that states have adopted to help advance industrial efficiency. 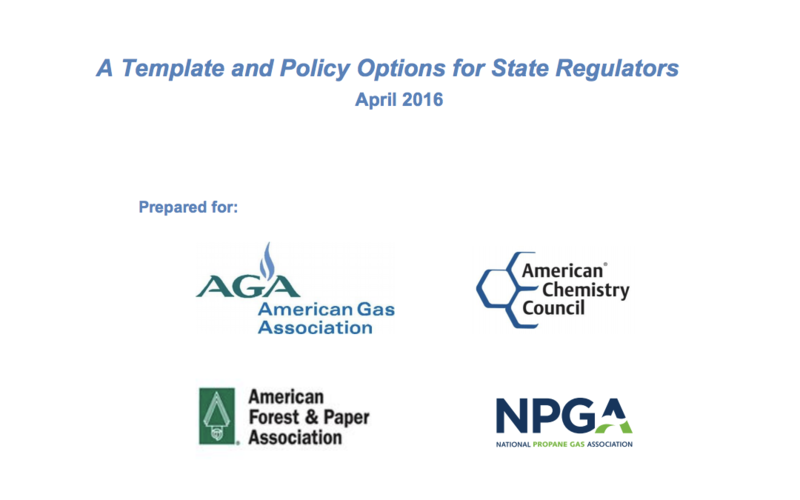 The report, prepared by DGA and the Institute for Industrial Productivity (IIP) for the American Gas Association (AGA), American Chemistry Council (ACC), the American Forest & Paper Association (AFPA), and the National Propane Gas Association can be viewed here. The press release is also available online here.